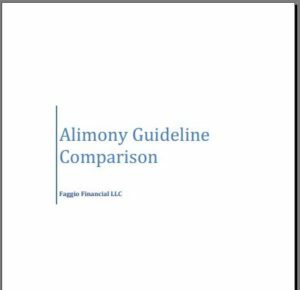 See what the Alimony Guidelines recommend for you! We’ve pulled back the curtain on what many attorneys use as a starting point to detemine alimony in maryland divorce cases. See what the Alimony Guidelines recommend in hypothetical cases. Contact John Faggio today at 410-988-7333 for a calculation of how income taxes can affect the payment or receipt of alimony in your situation.